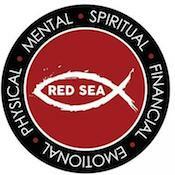 The Red Sea Fitness Team is much more than teaching physical wellness. Our approach consists of multiple Biblical components that emphasize total well-being; financial, mental, emotional, physical, and mostly spiritual. Since our small and slightly shortsighted beginning in 2013, nearly 500 family team members have completed their first 5K run, some even competing in 10K, half marathon, and marathon events. No upcoming events hosted by Red Sea Fitness - Joplin at this time.